I want to stress that this doesn’t mean other brands of chicken jerky from China are safe. There are reports of illness from single brands or with no brand listed. 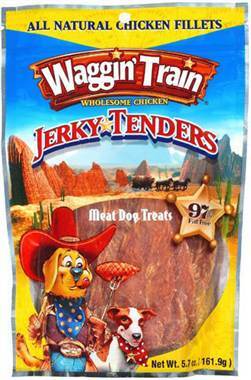 The FDA is urging owners and vets to report illness and samples of suspect chicken jerky. If all of this sounds familiar, it’s because it is. 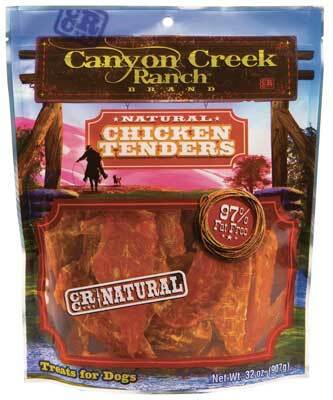 There have been multiple recalls and warnings about chicken jerky from China. So read those labels carefully! It’s not always obvious a product is made in China. Could you advise me how to find out where treats and dog food are made? I’ve seen “Manufactured by” or “Distributed by” on packages but rarely “Made in” or the origin of the ingredients. 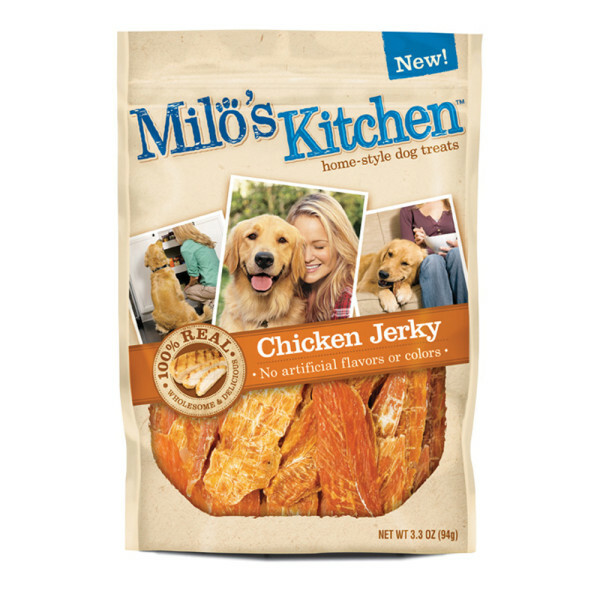 If you’re looking for SAFE, Real ‘American Made’ chicken jerky for dogs or cats, we started making our own Chicken Jerky for our 3 dogs after we ran across the FDA warning of 2008 about Chinese chicken treats making dogs sick or killing them. It turned into a cottage “Mom & Pop” business and we now sell our TriPom Chews online and in 20 stores in the New England area. Our products are the only homemade, handmade, ‘Maine Made’, ‘American Made’ Chicken Jerky produced from whole, restaurant-quality chicken breasts containing NO Additives and NO Preservatives. Our 3 Pomeranians (our babies!) taste test every batch for quality. Thanks for posting this! My dog Lilo is one of such case. 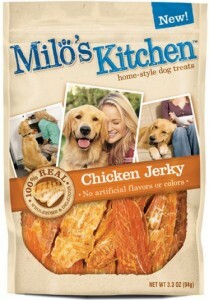 We gave her Milo’s Kitchen chicken jerky treats. 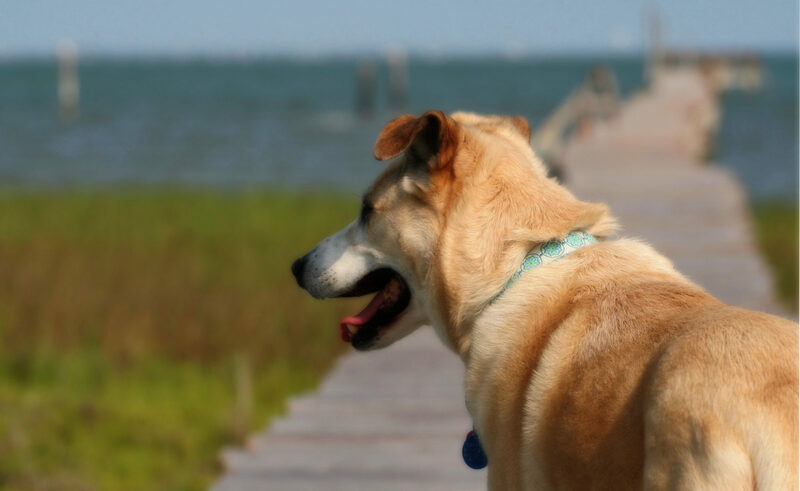 She spent a week at the ICU, and we were told she had less than 24 hours to live when we picked her up from the ICU. We are very fortunate that Lilo turned around! She is such a miracle! Previous PostPrevious Friday Fun: Welcome Home!